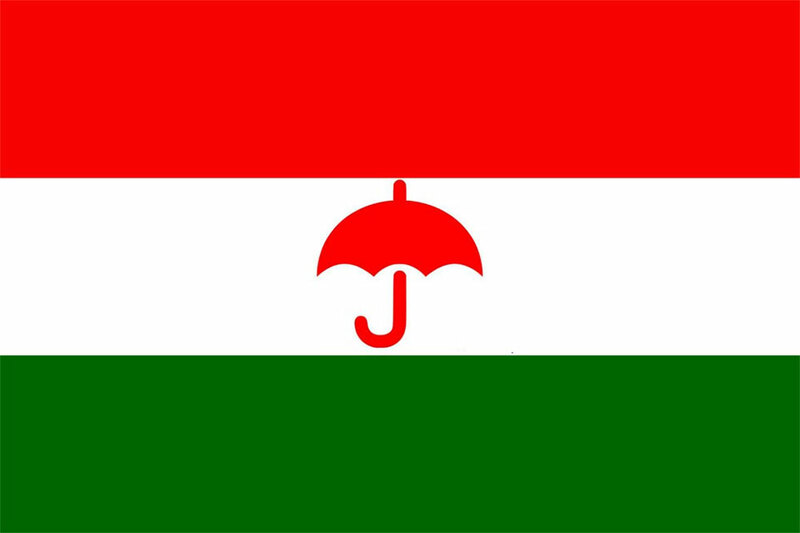 KATHMANDU, May 24: Leaders of the Rastriya Janata Party Nepal (RJPN) have said that their party is ready to join the government if the latter gives unequivocal assurance to amend the constitution. 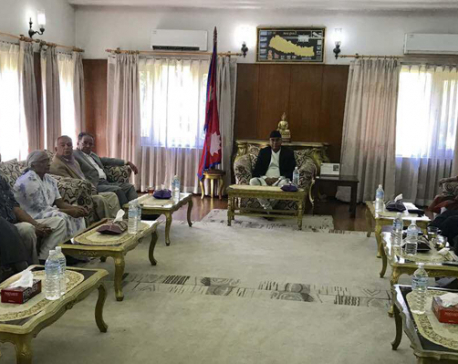 In a meeting with Prime Minister KP Oli at his residence in Baluwatar on Tuesday evening, RJPN leaders said that they were eager to be part of the ruling coalition but the government should first make environment toward that end. RJPN has been demanding some changes in the constitutional provisions pertaining to redrawing of provincial boundaries and citizenship. “We are open to the possibility of joining the government if the government creates conducive environment,” Mahendra Yadav, one of the six leaders in RJPN presidium, told Republica. Tuesday’s development is being seen as meaningful as it comes in backdrop of growing rift between the government and the Federal Socialist Forum Nepal (FSFN). Oli and other leaders of the Nepal Communist Party (NCP) are particularly unhappy with Province 2 Chief Minister Lal Babu Raut for “crossing boundaries in various matters related to foreign affairs.” RJPN, which is the fourth largest party in the federal parliament, is FSFN’s ally in Province 2 coalition government. RJPN President Mahanta Thakur, however, denied having any discussion on provincial government. “The budget was the focus of the discussion but we also discussed government matters. The provincial government didn’t come up at the meeting,” Thakur told Republica. When asked if his party was planning to join the government, Thakur said that their decision would depend on the flexibility the government shows toward addressing their demand for revision of the constitution. “We have not decided to either join or not join the government,” said Thakur. Oli told leaders that he was positive about the amendment demand but refused to give any concrete assurance. Another Chairman of the NCP Pushpa Kamal Dahal was also present at the meeting. During the meeting, RJPN leaders had submitted a memorandum demanding that the government allocate more funds for the Chure area development and end the perennial flooding problem. RJPN leaders, among other things, had requested the government to give priority to Chure conservation, education and healthcare in the new budget. They also urged the government to allocate funds on the basis of population. Madhesi leaders argue that over half of the national budget should go to the tarai, home to over half of the national population. “There is urgent need to address the flooding problem in the tarai. We would like to see the government taking concrete action in that direction,” said Thakur.